Introversion Software has released its critically acclaimed 2001 hacking simulator Uplink on the App Store, with an Android version to follow in the near future. 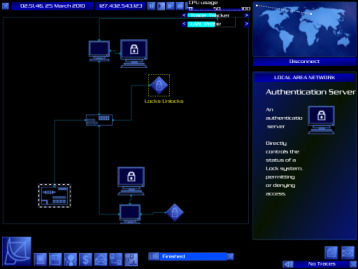 Taking its themes from hacking culture classics such as WarGames and Sneakers, Uplink became a firm favorite amongst indie gamers. We'll have a review for you as soon as possible, but in the meantime you can check out the launch trailer below.